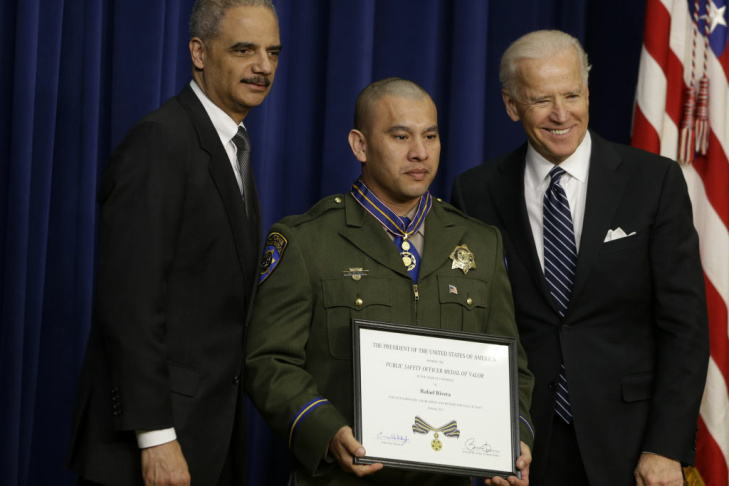 Vice President Joe Biden and Attorney General Eric Holder present the Medal of Valor to Officer Rafael Rivera of the California Highway Patrol, Wednesday, Feb. 20, 2013, during a ceremony in the Eisenhower Executive Office Building on the White House complex in Washington. The medal is the highest national award for valor by a public safety officer. The medal is awarded to public safety officers who have exhibited exceptional courage, regardless of personal safety, in the attempt to save or protect human life. 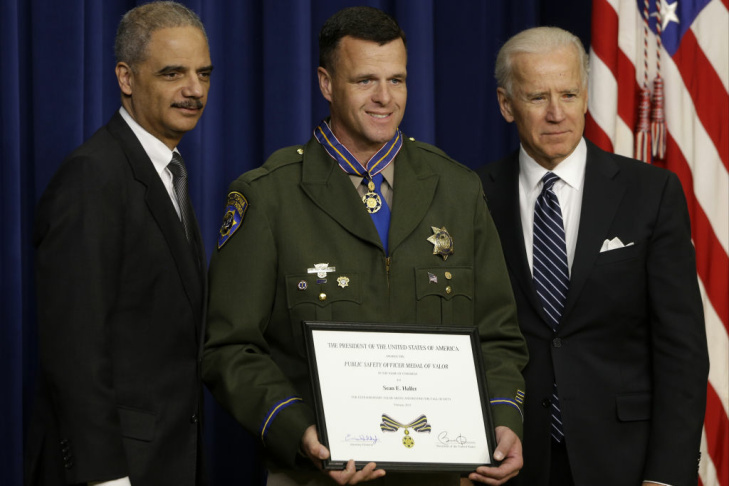 Vice President Joe Biden and Attorney General Eric Holder present the Medal of Valor Officer Sean Haller of the California Highway Patrol, Wednesday, Feb. 20, 2013, during a ceremony in the Eisenhower Executive Office Building on the White House complex in Washington. The medal is the highest national award for valor by a public safety officer. The medal is awarded to public safety officers who have exhibited exceptional courage, regardless of personal safety, in the attempt to save or protect human life. Two years ago, California Highway Patrol officers Sean Haller and Rafael Rivera responded to a call for help from Fresno County. 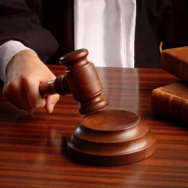 Two of the county sheriff's deputies had come under fire as they were trying to serve a search warrant to a wanted arson suspect. Both deputies had been shot and one was killed immediately, but Officer Haller exchanged fire with the suspect long enough for Officer Rivera to pull the other deputy to safety. 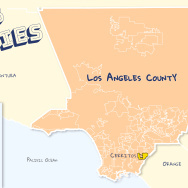 That deputy later died of his wounds but the actions of CHP officers Haller and Rivera earned them each the Medal of Valor. It's the nation's highest honor for emergency responders and they met with Vice President Joe Biden yesterday in a ceremony in Washington D.C.
California Highway Patrol officer and Medal of Valor recipient Rafael Rivera joins the show.